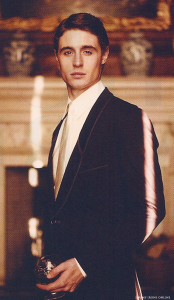 Max Irons, son of Jeremy Irons and Sinéad Cusack, is featured in the ‘Spotlight’ section of the March 2011 Vanity Fair Magazine – Issue No. 607. The feature is titled “Irons in the Fire” by Kate Reardon and Max is photographed by Jason Bell. Max’s upcoming film Red Riding Hood, directed by Catherine Hardwicke, is discussed in the article. This issue is currently available on newsstands.